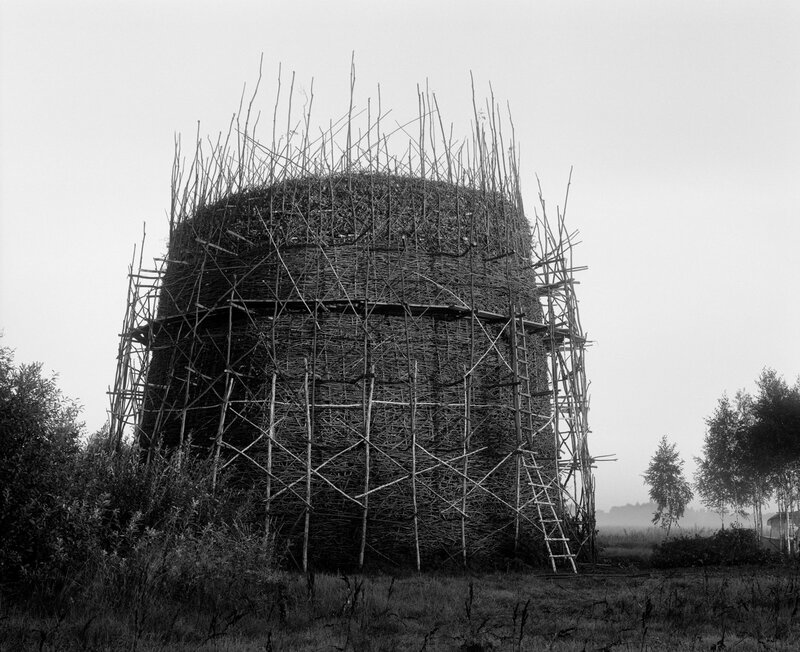 Urban landscape no longer belongs to people and their houses. 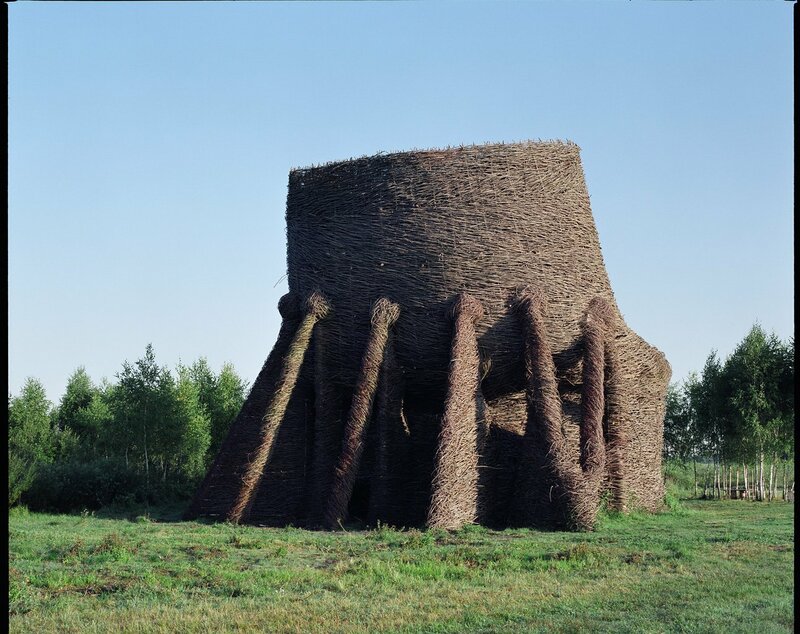 Visual space of megapolis is dominated by the constructions of industrial suburbs and a smoking tube is a symbolic image of that. 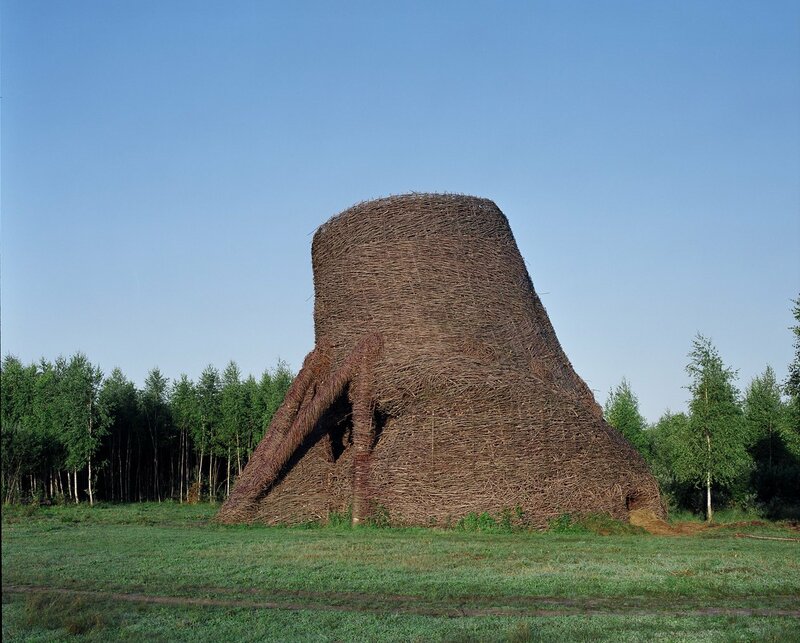 It smokes like a volcano on any plant, electro station or reactor. 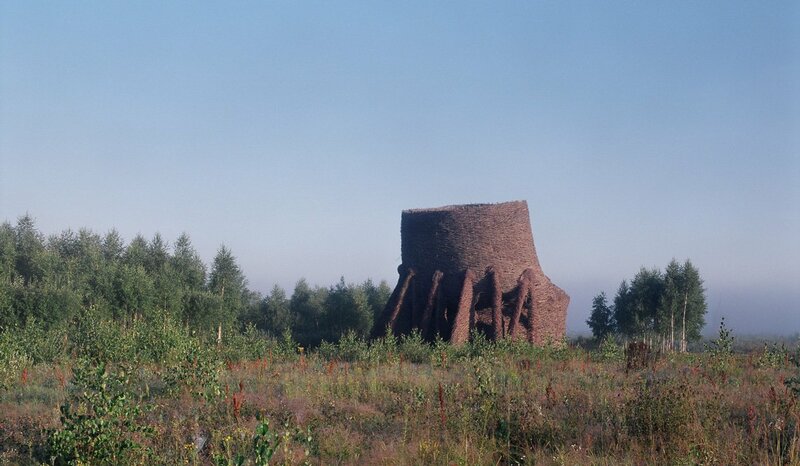 “Hyperbolic cooling tower” is an object which can be hardly imagined away from anthropogenic surroundings. 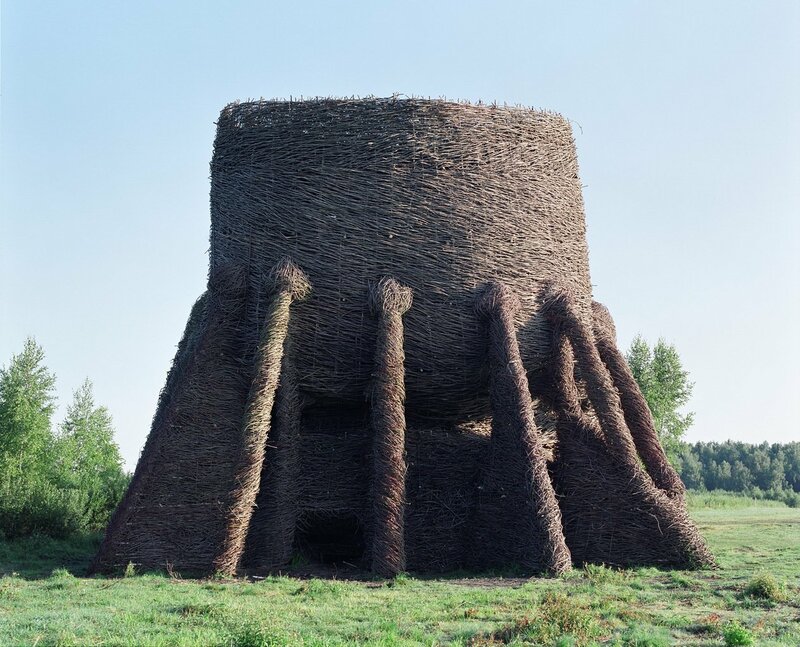 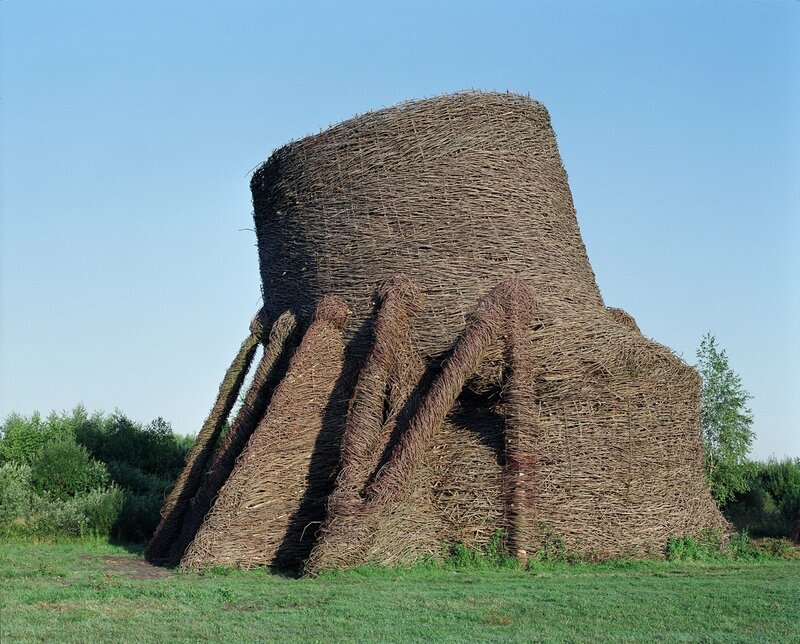 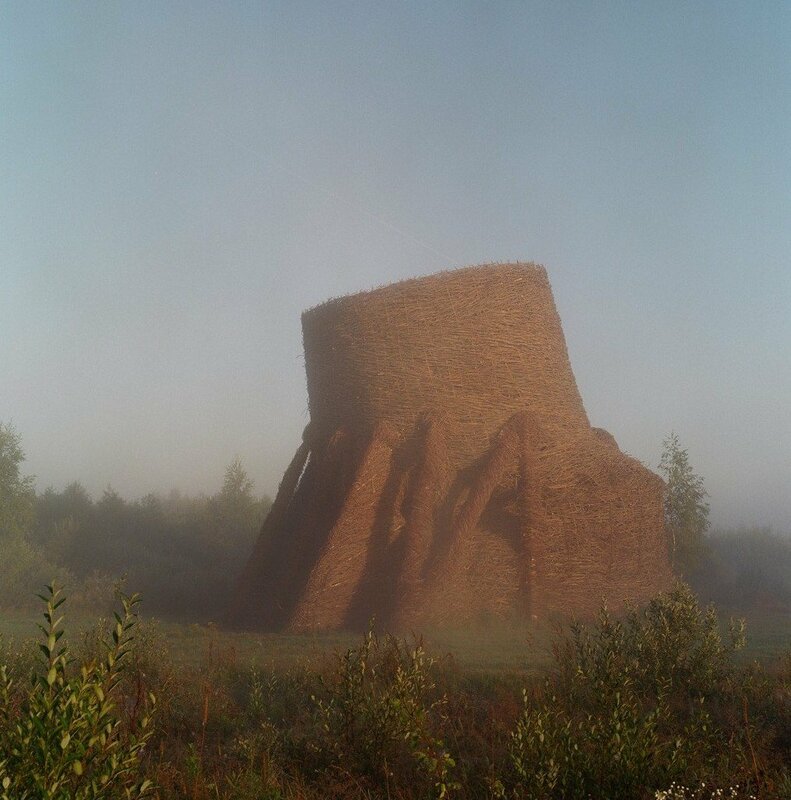 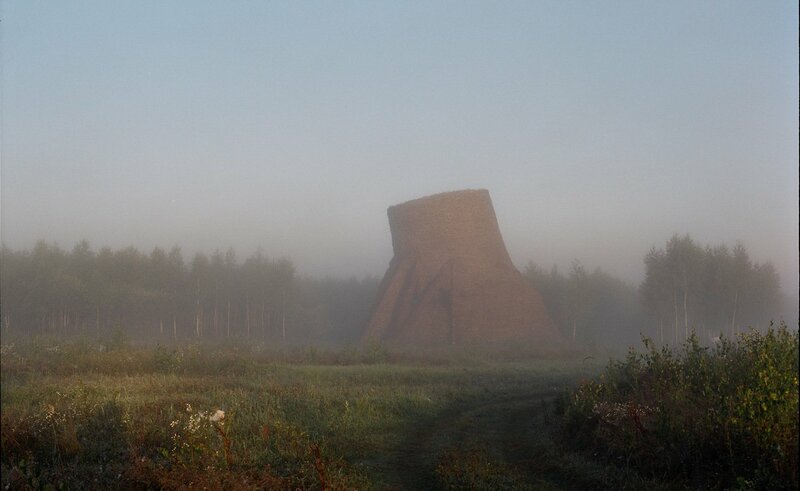 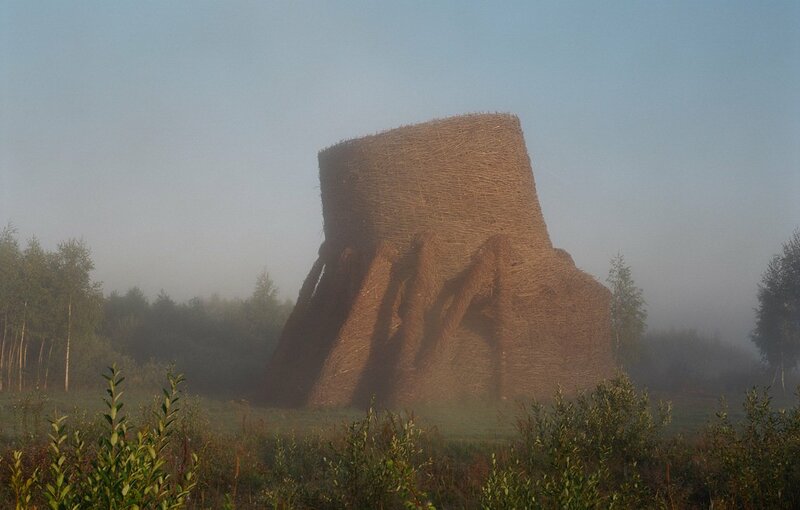 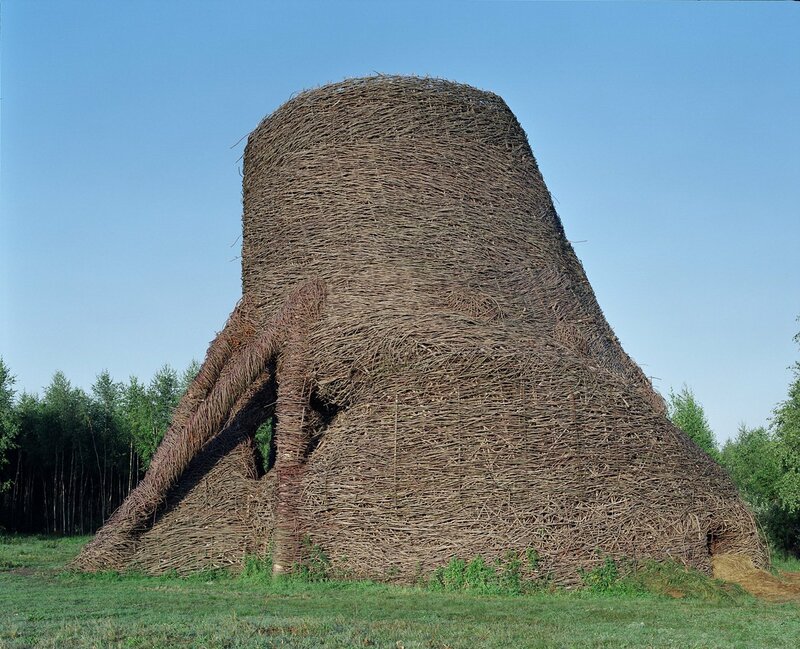 So it took an artist to build a huge weaved tower of rods and twigs in the virgin nature of Nikola-Lenivets. 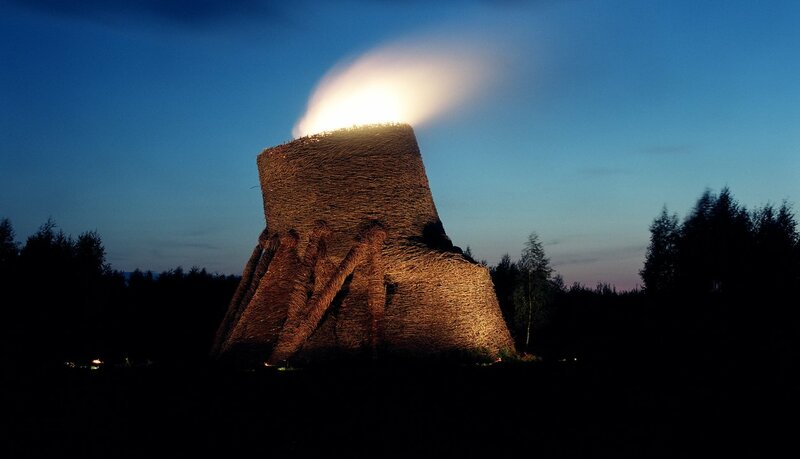 It glows and smoke column gushes from it, but with no harm to ecology. 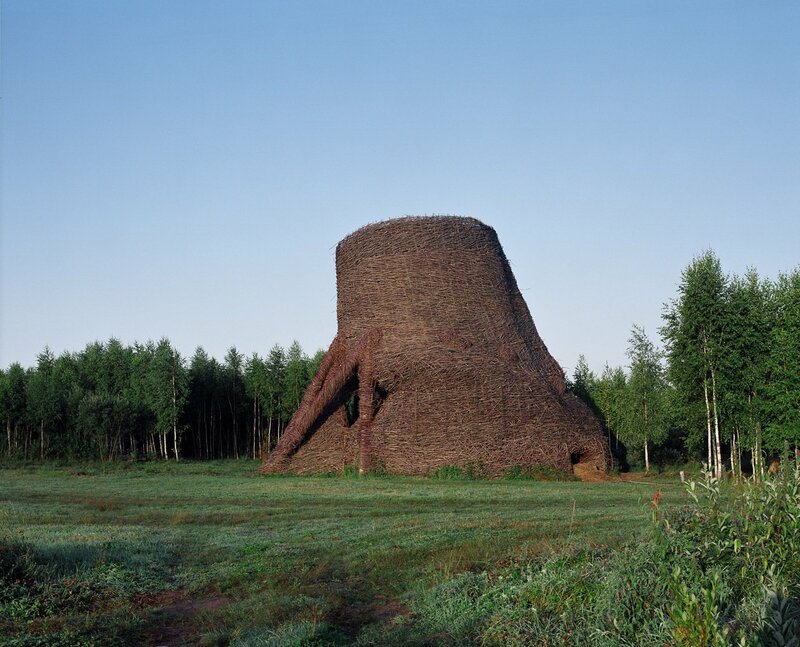 Though it offers the audience a chance to see how an image of industry is getting sunk and absorbed by the surrounding nature.